The Senate says it has uncovered illegal withdrawals of $1,151,609bn from the dividends accounts of the Nigerian Liquefied Natural Gas by the Nigeria National Petroleum Corporation. 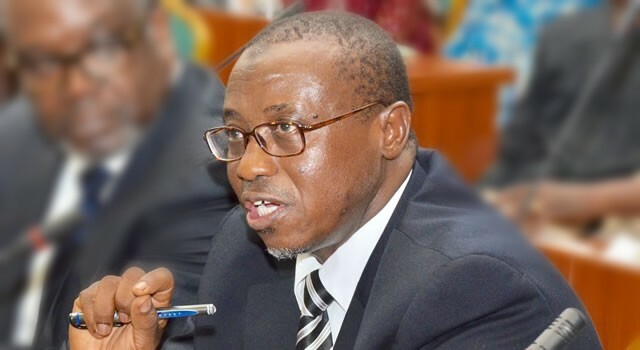 This is apart from the $1.05bn which the Group Managing Director of the NNPC, Maikanti Baru, had earlier admitted was withdrawn on the presidential directive. The Chairman, Senate Committee on Gas, Senator Bassey Akpan, on Wednesday, said the alleged illegal withdrawals by the NNPC through the Central Bank of Nigeria were discovered in the course of an ongoing investigation by his panel on the $1.05bn. Akpan said the NNPC GMD had explained that the $1.05bn was withdrawn to bridge the gap of losses being suffered by the corporation on landing cost of imported fuel which is N185 compared to the pump price of N145. The Akpan panel was mandated by the Senate, two weeks ago, to probe the $1.05bn which the NNPC withdrew from the accounts in April this year without authorisation by relevant authorities. The committee, while going through the NLNG documents presented to it on Wednesday by the Chief Operating Officer (Finance) at the CBN, Babatunde Adeniran, observed series of cash debiting from the account from November 2016 to June this year totalling $2.201bn. The breakdown of the withdrawals not supported by required approving documents as observed by the committee are $86,546,526m withdrawn from the account on November 22, 2016, allegedly being payment on Paris Club loans to the Nigerian Governors Forum, and the $1.05bn withdrawn on April 17, 2018, as National Fuel Support Fund. Others are $650m withdrawn from the account on June 7 this year to offset the Joint Venture Cash Call by the NNPC which ordinarily supposed to be a budget item payment, and $415, 063m withdrawn from the account also in June without clear explanation on the purpose for which it was meant for. Obviously not satisfied with the series of withdrawals, the Senate panel ordered officials of the CBN and the NNPC who represented their bosses on Wednesday to forward to it, latest by Tuesday next week, supporting and approving documents for the withdrawals. Akpan said, “From the available documents before us, apart from the $1.05bn that we are mandated by the Senate to investigate, we have also discovered that several withdrawals were made from the NLNG dividends account without the required supporting documents to back them. Akpan said a document tagged, “Memo NNPC GMD 49” signed by Maikanti Baru and sent through the Chief of Staff to the President, Abba Kyari, had no clear-cut language of a request for approval for the withdrawal of the $1.05bn but a mere notification. Approval for withdrawal from such fund was supposed to be given by the National Economic Council being an account or dividends owned by the three tiers of government. Akpan vowed that his committee would carry out a detailed investigation into the alleged illegal withdrawal made by the President Muhammadu Buhari administration from the same account in 2015.